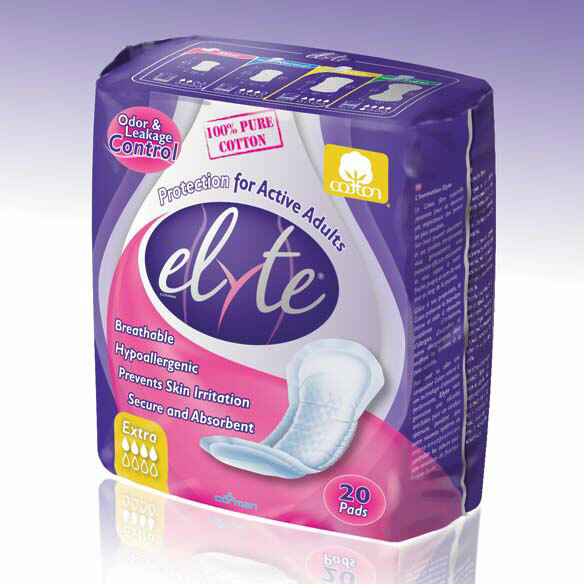 Elyte incontinence pads are soft, 100% cotton to keep you drier, fresher than synthetic ones. Women's incontinence pads stay secured with self-adhesive strips. Hypoallergenic pads are available in cases of 120. Imported. Express shipping not available for cases. LOVE THIS PRODUCT. I HAVE EXTREMELY SENSITIVE SKIN AND THIS PRODUCT KEEPS ME VERY COMFORTABLE. WOULD RECOMMEND TO ANYONE WHO HAS SENSITIVE SKIN ISSUES. These are the best pads ever! They are comfortable and dependable. they work good for my mother. like the fit and the feel of cotton, great item! These pads do not hold enough for our needs. 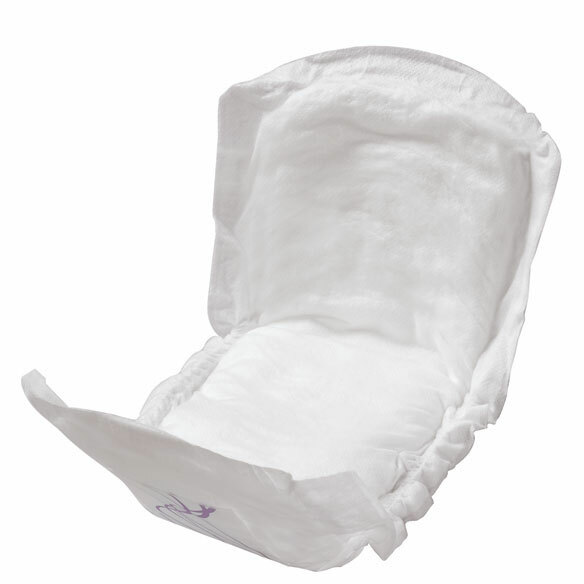 It's difficult to locate large pads in stores, so it's great it's available through you. WONDERFUL PRODUCT. COMFORTABLE AND SOFT. FOR THOSE WHO HAVE DELICATE AREAS THIS PRODUCT IS A MUST HAVE. THE COMFORT AND SECURE FEELING. Is this the 13.5 oz? BEST ANSWER: Thank you for your question. 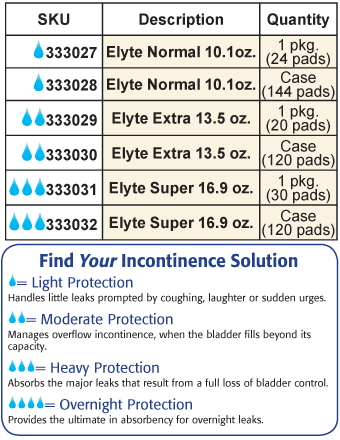 The Elyte Incontinence Pads XL - Case is the 13.5 oz absorbency. We hope this information will be of help to you. Trying to order overnight absorbancy. Can you help? BEST ANSWER: Thank you for your question. You will need to order the Elyte Super, they have the most absorbency, item number 345871. We hope this information will be of help to you. What brand is the most reliable from leakage? 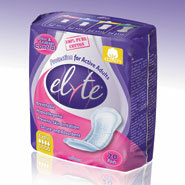 BEST ANSWER: The elite xl is long and soft and very dependable. feels great next to the skin. WHAT IS THE INCH SIZE OF THE EXTRA? BEST ANSWER: Thank you for your question. The extra is 13” long x 5” wide. We hope this information will be of help to you. What is the exact dimension of each pad? BEST ANSWER: Thank you for your question. The pads are 13" long x 5" wide. We hope this information will be of help to you.